The crew of the Donald Cook American destroyer was demoralised by the encounter with the Russian bomber SU-24, which used radio-electronic weaponry. 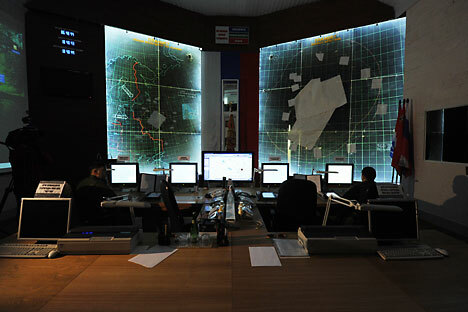 With several advanced systems, this is an area that Russia enjoys a distinct tactical edge. On April 10, the Donald Cook, entered Black Sea waters and within 2 days, the Russian tactical bomber Su-24 “buzzed” the American destroyer. A few media outlets reported that Donald Cook’s crew was demoralised by this encounter and 27 American sailors resigned from the navy. What petrified the American crew so much? Donald Cook is a 4th generation fleet destroyer of the US Navy. Its key weapon is the Tomahawk cruise missile with flying range up to 2500 km, which can carry nuclear explosives. In standard and striking set-ups the vessel carries 56 or 96 such missiles correspondingly. The destroyer is equipped with the latest Aegis ballistic missile defence system military. Among other functions it can centralise the air defence forces of all the ships where it is installed in a common network, therefore allowing for tracking and shooting up hundreds of targets at the same time. Four huge standard radar aerials, which can substitute for a few ordinary radars, are located on the sides of the deck erection. About 50 intercept missiles of different classes are installed together with the Tomahawks in the universal launching installations on the bow and by the stern. The Su-24 Russian tactical bomber which approached the Donald Cook carried no bombs or missiles but a container with the Khibiny radio-electronic military system. Having approached the destroyer, Khibiny was use to switch off the American destroyer’s radar, battle control circuits and data exchange systems. In other words, it turned off the whole Aegis by remote control. After this, the Su-24 simulated a missile attack at the “blind and deaf” ship, and repeated the manoeuvre 12 times. When the Russian fighter left, the Donald Cook rushed to a Romanian port and never approached Russian waters again. Dmitry Rogozin, Russia’s deputy prime minister, has called for the reequipping of Russian strategic nuclear arms with the latest radio-electronic warfare devices. This is an abridged version of an article first published in Russian by Rossiyskaya Gazeta.